Betty’s is glad to help you with all your water gardening needs. From what you’ll need for building your pond like pumps, filters, and liners (both pre-formed and customized), to seasonal pond plants and fish to put in the pond, of course. 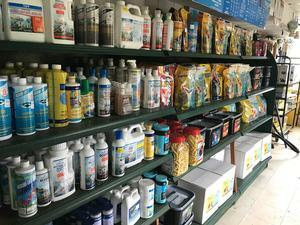 Also available are everything you could possibly need to keep your aquatic biome happy from water treatment products like de-chlorinators, to fish food to skimmers, to heaters for the winter. And of course, there’s a whole wall of miscellaneous hardware like tubes and clamps for when you have 99% of the job done. Have a question? Stop by and ask one of our pond experts, and they’ll be glad to help you fix whatever is going wrong. Want a pond in your back yard, but you don’t know where to being? Contact our landscape design department at 703-830-8687, extension 2 to set up an appointment with one of our landscape designers.